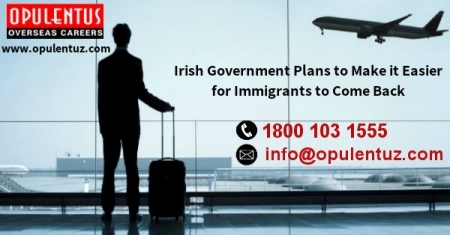 The Irish government is interested to identify barriers which affect the return of Irish immigrants. A management consulting company will look into this issue and identify the solutions that affect them negatively. There are facts like the expenses in car insurance, access to credit, high rents, opening bank accounts, broadband coverage and reapplying for the driving license which requires solutions. Ciaran Staunton, Chairman of the Irish Lobby for carrying out Immigration Reforms said that empathy from Government agencies was completely lacking for the conditions of the returning citizens. The fact that many of them lived and worked in the country never considered. There is a need to resolve these issues quickly. The processes to get car or health insurance, buying a house, obtaining education for children, and getting electricity, should be simplified. Ciarán Cannon, Minister of State for the Diaspora, promised to get the issues resolved. He said that the Government will work to ensure that returning to Ireland is easy. He will address the issue of government procedures which affect the returning immigrants negatively. The report will inform about the measures to be taken and the Government policy towards these difficulties. People can write to the Irish Abroad Unit, Department of Foreign Affairs and Trade, regarding specific administrative difficulties experienced by them.